The former Homelessness Czar in the UK has challenged the city of Sydney to “have a bloody good go” at putting an end to homeless people sleeping rough on its streets. 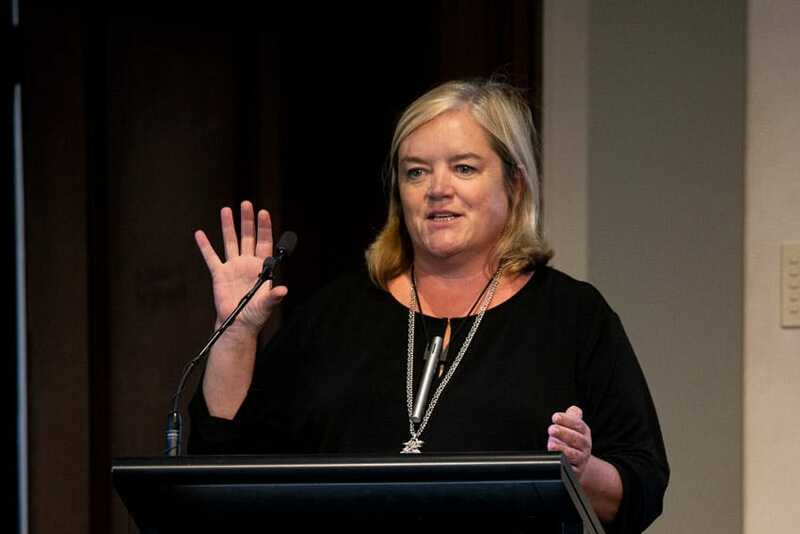 Dame Louise Casey, Chair of the Institute of Global Homelessness Advisory Committee, was the keynote speaker at the Act to End Street Sleeping Symposium held at Sydney’s Custom’s House on 14 September. The Symposium was organised in response to Archbishop Anthony Fisher’s request that Catholic social and health services organisations devise a plan to end homelessness. Dame Casey told participants that this could be a “stocktake moment” for Australia. She expressed hope that Australia would become “the first vanguard country” to seriously tackle rough sleeping “with or without” the government’s assistance. She said ending homelessness would mean “challenging the system” in order to prevent homelessness occurring in the first place. Knowing where homeless people are coming from is key to reducing street sleeping, she said. Many who end up homeless in the UK are discharged from hospitals, care facilities, prisons and the armed forces, she said, and are unable to adjust to independent living for various reasons including a lack of support. Bishop Terry Brady said helping the homeless needs to be infused with authentic Christian spirituality. Having such information can lead to strategies to “switch off the taps,” as evidenced by the situation in London where only two care leavers were found on the streets last year. Dame Casey said she was “incredibly proud” of that achievement. Bishop Terry Brady who attended the Symposium said it was “wonderful” to see the different Catholic organisations coming together to tackle the problem of rough sleeping. “It brought together so many groups and individuals working in the area of homelessness and social housing in community,” Bishop Brady told The Catholic Weekly. Bishop Brady emphasised the importance of the spiritual aspect of helping the homeless, as an important contribution of the Catholic community, and the need for such outreach at the local parish level. 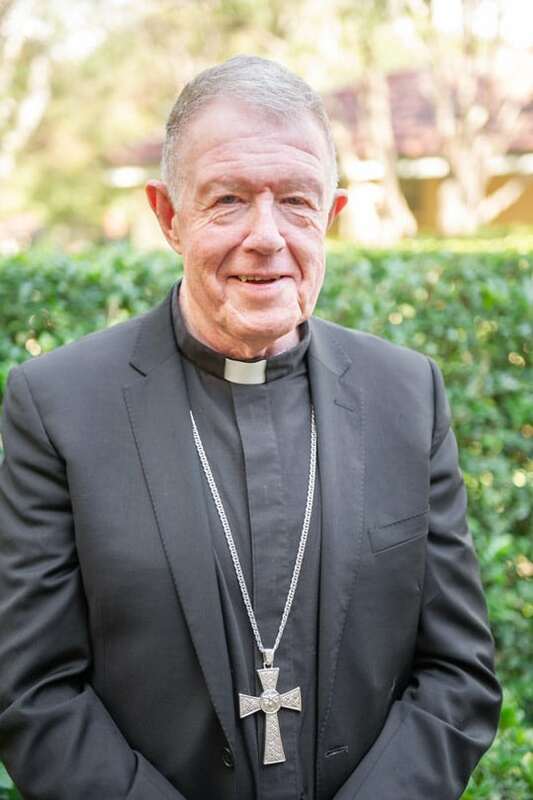 Promoter of Justice and Peace within the Sydney Archdiocese, Fr Peter Smith, said much progress is being made following Archbishop Fisher’s call to establish a strategy to eradicate street sleeping. “The Archbishop has established an End Rough Sleeping Taskforce which instigated last Friday’s Symposium. There are two components to this: Working to provide accommodation and ‘Turning off the taps’ i.e. stopping the causes of homelessness and rough sleeping. “The Taskforce has undertaken a study as the first step so that we are informed as to the exact extent of the problem and the manifest causes. He also pointed out that the Sydney Street Feast will take place in the forecourt of St Mary’s Cathedral on 16 November to mark World Day of the Poor, established by Pope Francis. 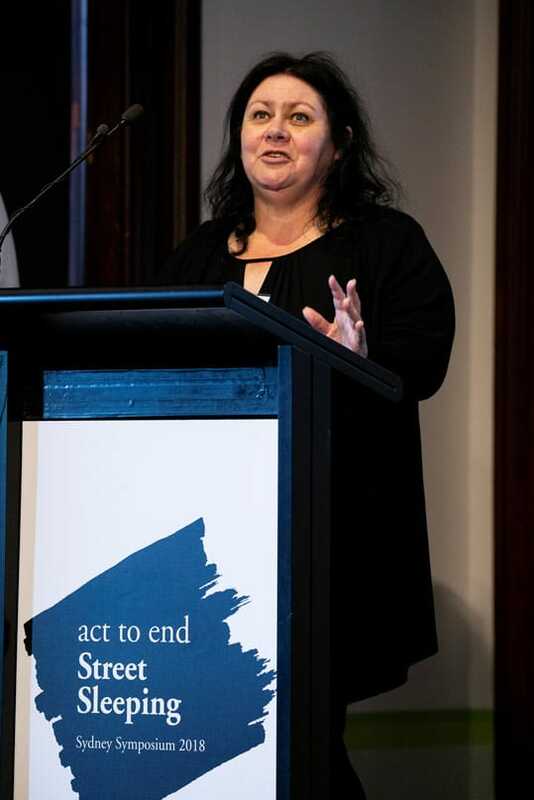 Gail Sellman who has experienced homelessness also addressed the Symposium, describing how she ended up on the streets after her parents separated and her father passed away suddenly, leaving the family in financial difficulties. After suffering all kinds of abuse as well as drug addiction, she said the turning point was being helped by the Sisters of Charity. Ms Sellman now works at Tierney House in Sydney as a Peer Support person for those sleeping rough. She said merely placing people in accommodation only “sets them up for failure” unless we also “come along side them” with the necessary supports to help get their lives back on track. “To be a voice for the voiceless and defender of the vulnerable, that’s my life’s mission,” she said.